Today’s digitally empowered customers expect a high level of personalized service, quicker response, and a great experience every time. 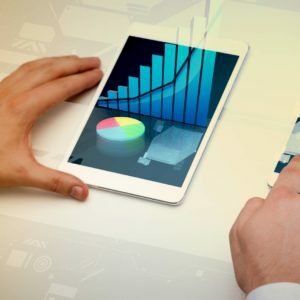 Salesforce not only offers a robust platform to extend customer relationships but also empowers enterprises to engage their customers across all channels. As a certified Salesforce consulting partner & ISV partner, we work with progressive enterprises on focused goals lead by our Salesforce experts to identify current stains and explore future opportunities around various business processes through Salesforce acceleration and innovation. We help enterprises leverage most effective Salesforce features designed to support their sales process including leads, campaigns, products, opportunities, and quotes. Our service process design services include developing strategies to accomplish critical customer service objectives for our customers by implementing a scalable and efficient customer service plan that covers experience design, data management & integration, solution design etc. We can be your Salesforce advisory partner who can plan out a comprehensive CRM roadmap for you to accelerate growth. We will help you identify opportunities for automation, devise a robust strategy which contributes to your long-term success. Our Salesforce experts audit and access your current Salesforce set-up and through a focused approach evaluate issues and gaps, come up with a set of recommendations and drive your transition. We will help you understand Salesforce features which are not being utilized or less-utilized. Our Salesforce experts will help you identify your potential Salesforce adoption issues and roadblocks and design a seamless Salesforce program strategy which will lower risks and offer highest ROI. This includes data quality assessment, sales and service process readiness for adoption and data governance processes. Change can be complex at times. At CEPTES advisory services, we map out an end-to-end structured approach from the very beginning and align change management with your company’s roadmap. Our change management services include readiness assessment, implementation, training, and support. A successful CRM implementation starts with an understanding of specific business requirements. Our Salesforce CRM advisors are industry experts who study your business processes and customize your CRM implementation plan to best meet your explicit business requirements. We bring our varied industry experience and extensive Salesforce experience to offer an effective integrated CRM system for your business. Why Enterprises are Choosing CEPTES as their Salesforce Advisory Partner? Business processes are transforming at a lightning pace and the competition is cutthroat. Evolving your business digitally is the only way forward. As a registered Salesforce consulting partner, We offer our advisory services by facilitating digital evolution and drive innovation for our clients using ‘Customer Success Platform’. Discover the ways CEPTES Salesforce Advisory Services can help your business achieve the highest goal. 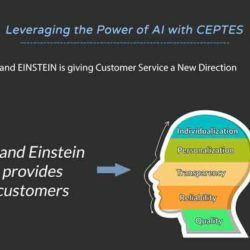 AI and Einstein giving customer experience a new direction. 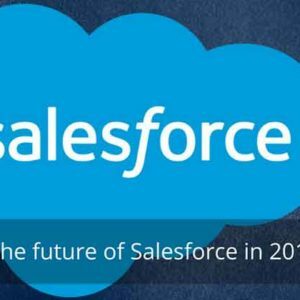 As 2017 is drawing the final line, we are already looking forward to what the future has in store for Salesforce.